Returning home from a dinner party one night, I wandered down 24th Street in San Francisco’s traditionally Mexican Mission District. I spied a store display lit up with flashing Christmas lights, and looking inside, I saw a life-size plastic skeleton with red lights for eyes. The skeleton was adorned with a fancy biblical robe and was holding a scythe and metal scale. It was flanked by several smaller skeleton figures with similar clothes and gear. “Uh, yeah, I was just wondering what’s going on here.” He told me that the skeleton was Santa Muerte, or Saint Death, and the people who worship her do bad things, so I should stay far away from that shop. It was what you could call a Morbid Anatomy moment. The blog, library, and lecture series founded in Brooklyn in 2007 by artist and curator Joanna Ebenstein tend to explore exactly this sort of fascinating, and controversial, figure. Indeed, Santa Muerte—whom Ebenstein asserts is unfairly maligned—comes up at Morbid Anatomy quite often. 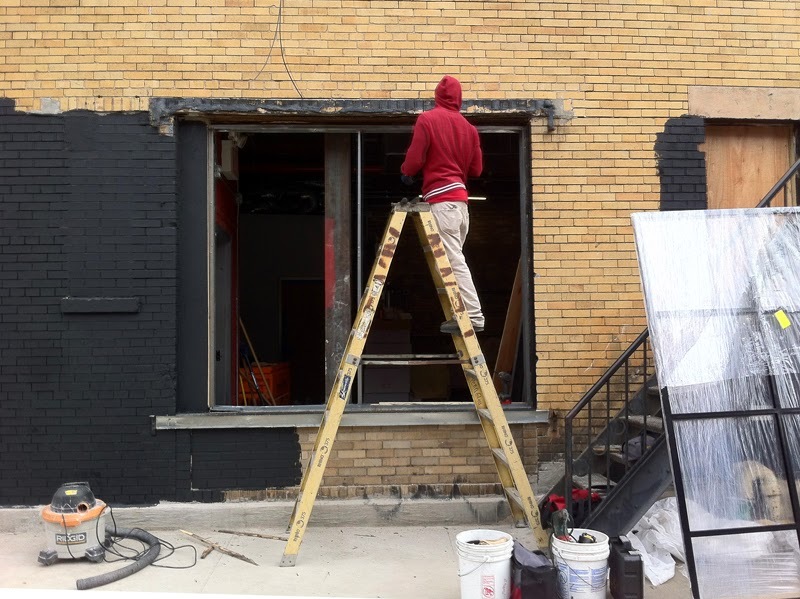 Thanks to its swelling popularity, Morbid Anatomy is becoming a non-profit institution and expanding into a three-story, 4,200-square-foot museum in Brooklyn with a café and bar, gift shop, rooftop garden, and lecture hall, where its lineup of “rogue scholars” will speak. 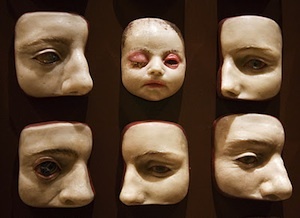 Seed money for the new, improved Morbid Anatomy Museum—which is set to open this spring—arrived a few years ago, after music manager Tracy Hurley Martin, the wife of Erasure’s Vince Clarke, and her twin sister, bestselling young-adult novelist Tonya Hurley, discovered the Morbid Anatomy lecture series and collection. Now, Martin is the CEO of the museum, while Hurley is on the board of directors. Evan Michelson, co-owner of the Obscura Antiques shop featured on the Science Channel’s “Oddities,” is also on the board. At the moment, the Morbid Anatomy team is attempting to raise $60,000 for their new museum through Kickstarter. The campaign is inspired by the success of its previous Kickstarter fundraiser, for a book called Morbid Anatomy Anthology, co-edited by Ebenstein and Colin Dickey—the author of Cranioklepty: Grave Robbing and the Search for Genius—and the campaign raised more than $46,000, almost six times the goal of $8,000. The anthology, published April 8, 2014, arrives right ahead the museum’s opening, which will kick off with an exhibition of Victorian taxidermist’s Walter Potter’s anthropomorphic dioramas. Penguin’s Blue Rider Press will be releasing the American version of British biologist Pat Morris’ Walter Potter’s Curious World of Taxidermy, another project Ebenstein contributed to, on April 17, just in time for the show. We caught up with Ebenstein among all this hustle and bustle. Collectors Weekly: How did you start collecting these curiosities? Joanna Ebenstein: As a little kid, I collected natural-history stuff like shells and dead bugs. Eventually, my father bought me formaldehyde, so I’d put my dead lizards, snakes, and sea urchins in jars. When I was about probably 13 to present, I became something of a book hoarder. I wanted to be an illustrator when I was younger, so was really into the history of illustration for a while, particularly, 19th-century and early-20th-century children’s book illustration. So I still have this collection of things like Edgar Allan Poe illustrated books and Hans Christian Andersen fairy tales. It includes books with illustrations by Arthur Rackham and Harry Clarke, as well as Oscar Wilde’s fairy tales. But I’m not really in that world anymore. When I was 16, I went to Europe for the first time. In German churches, I saw the paintings of the martyrs, and everywhere, I found the wonderful death’s-head imagery. Growing up in California, the only time I saw images of death was in goth or heavy-metal situations. I’d never seen fine art that depicted death before, and it fascinated me. Here in the United States, there’s an idea that it’s oxymoronic to think about death and beauty in the same statement. But it was not that way in Europe, which had a tradition of art depicting death for hundreds and hundreds of years. 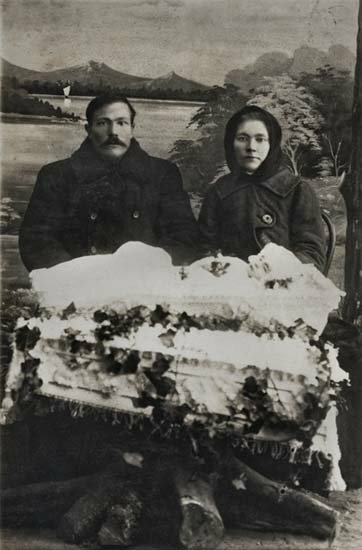 I started collecting images of death even then. That’s why I became interested in medical museums. To me, they also contain cultural artifacts that let you look at different ideas about death and the human body. Because of this, my book collecting stopped being simply about beautiful pictures and more about content. I was in the United States researching medical museums, which are pretty much a European phenomenon. They do exist here, but not like they do in Europe. I mainly started to collect books that I couldn’t find at nearby libraries because I needed the information. I was just ordering books by the boxful. Collectors Weekly: How did you discover medical museums? Ebenstein: Somebody gave me a calendar from Philadelphia’s Mütter Museum of medical history when I was right out of college, and it just blew my mind. I had never seen anything like that before. I went on a trip to visit it, and I found out that there were others. A particular book that started me on my travels was Stuffed Animals and Pickled Heads: The Culture and Evolution of Natural History Museums by Stephen Asma, who’s a scholar based in Chicago. In it, he writes the natural history of natural-history museums, which goes back to early comparative anatomy collections. I ended up taking up a pilgrimage in Europe based on that book. That’s what started me on my habit of traveling and photographing medical museums. When I came back in 2006, I had so much information—boxes of books and scholarly articles—a really serious research collection. The Morbid Anatomy blog was just my way of organizing that material. It honestly didn’t occur to me that it would be interesting to anybody else. Largely, the topic of Morbid Anatomy is death. To me, that’s really the unexamined, big, white elephant in the room, though it’s changing to some degree. Back in 2007, this stuff was still pretty marginalized. In the beginning, I used my initials and not my full name. I do graphic design for a living, working in children’s publishing among other fields, and I really didn’t want my bosses to know that I was into this creepy stuff. But things have changed so much now. People love it. Even my workmates love it. Collectors Weekly: Why do you think it’s changed? Ebenstein: Carl Jung would say one of the jobs of artists and creators—and I do believe this—is to excavate the shadow sides, the things in our culture that aren’t dealt with, the things that have been trapped in the shadow. Death was ripe to be rediscovered by a new generation of artists because it’s disappeared. Because death has been stigmatized so much, there was bound to be a backlash. I think the popularity of Morbid Anatomy helped enable that rediscovery. But I think that is also I’m part of a larger zeitgeist of people of my generation, and probably the generations after, responding to this lack of serious conversation and lack of discourse about this topic that is so important. 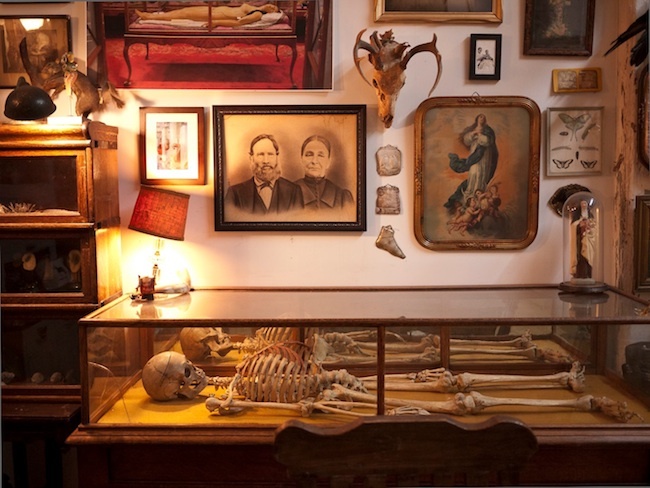 Collectors Weekly: How did the Morbid Anatomy Museum get started? That fall, we also launched a Kickstarter for our new book Morbid Anatomy Anthology, which Colin Dickey co-edited with me. It’s a 500-page collection of essays based on lectures we’ve held in the past. The 28 essays range in topics from the books bound in human skin and 19th-century hysteria to Anatomical Venuses and grave-robbing. Evan Michelson, David Pescovitz of Boing Boing, Caitlin Doughty of “Ask a Mortician” and The Order of the Good Death, are some of the contributors. We tried to raise $8,000, but we ended up raising $46,000 by the December deadline. That was what told me—which I didn’t really believe before—that there is a real audience for this material. I knew Morbid Anatomy had a virtual audience, but that’s really different than plopping down money for a book. 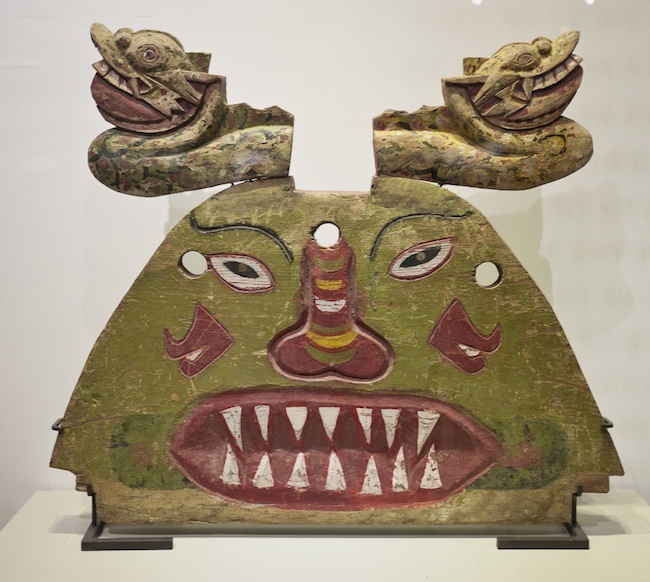 Collectors Weekly: What sorts of things will people see in the museum? Ebenstein: The basement floor is where lectures and classes will take place. The ground floor will have a gift shop and a cafe. The top floor will have a temporary exhibition space and a permanent exhibition space. The permanent exhibition space is essentially the current Morbid Anatomy Library: We have a human skeleton in a vitrine, two-headed duckling taxidermy, and lots of Santa Muerte figurines. 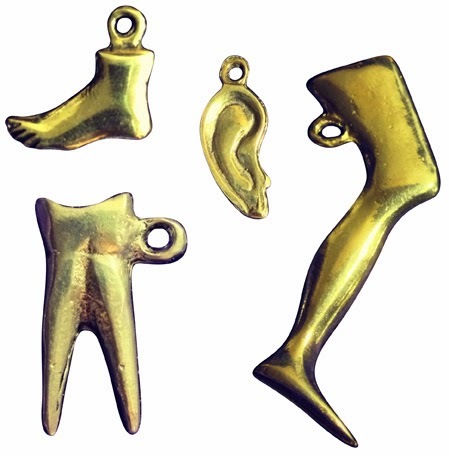 We have silver and wax votives in the shape of body parts: You would put them on an altar either to ask a saint to intercede on your behalf for the body part or commemorate the saint having helped you. We have these votives shaped like feet, eyes, torsos, and sacred hearts, which you can buy in Italy, Spain, and Portugal. I also have moulages, which are wax depictions of diseased body parts, and a kokdu doll, which is a Korean funerary figure. I have lots of bird nests, a cast of gorilla foot, sundry curiosities, and about 2,500 books. It will definitely keep expanding. In the spring, a friend of mine in Texas is going to be donating her collection of animal bones that she’s amassed over her lifetime. A man named Stanley Burns, a doctor and a great collector of photography in New York, will be donating a bunch of old books from his collection to the library as well. 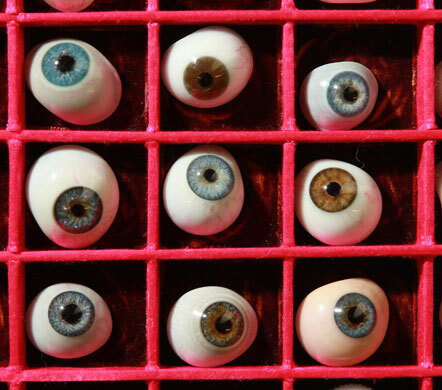 In our temporary exhibition space, our first show will be about Victorian taxidermist Walter Potter. I worked on a book, Walter Potter’s Curious World of Taxidermy, with a biologist and taxidermy scholar named Pat Morris, and it just came out in England September of 2013. Penguin will be releasing an American edition of the book that will come out on April 17. Collectors Weekly: What’s the story about Walter Potter? Ebenstein: Walter Potter was an eccentric, self-taught taxidermist in the 19th century. 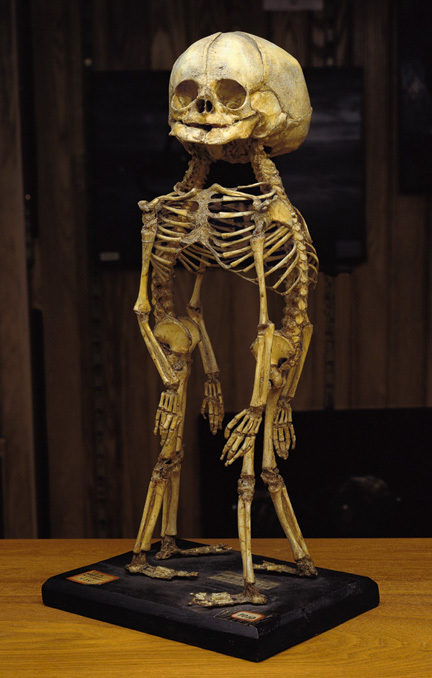 He did traditional taxidermy, but he also did a lot of anthropomorphic taxidermy, which is basically animals posed into humanlike activities, usually in dioramas. Sometimes, the stuffed animals are even wearing clothes. There’s no evidence that Potter ever read a book on taxidermy. He’s not a skilled taxidermist in the sense that his pieces betray very common problems unskilled taxidermists have. But I would argue that his pieces transcend that, and that part of their allure is their imperfection. They don’t look like real animals, or at least the species they’re supposed to look like. I won’t say they look better, but they have a real character all their own. His famous diorama, “Kittens’ Tea Party,” has something like 40 kittens in it. It’s gigantic, and each kitten is a considered character. Potter’s dioramas are really charming evocations of human life through animal form. For all of his problems, he had a real art. 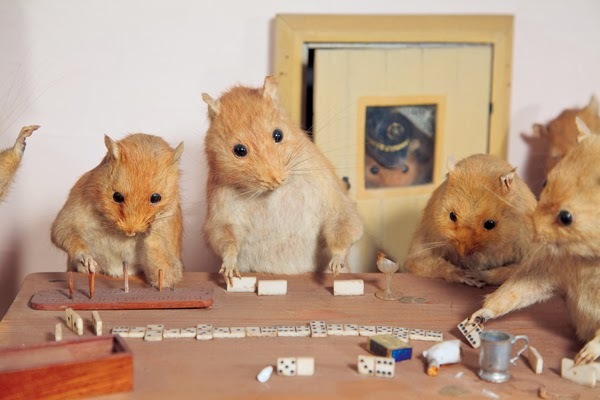 In the mid-1800s, he created a small museum where he showed his taxidermy and dioramas. That collection was basically together for about 150 years in various incarnations, in various places and run by various people. It got opened up for auction in September 2003, and that’s what the book commemorates. Since then, the pieces haven’t been seen together. They traveled all over the world. A lot of them, nobody knew where they went to. There are still some I haven’t been able to track down. For example, it had been a mystery where Potter’s kittens had gone, and the “Kittens’ Wedding” and “Kittens’ Tea Party” dioramas are my favorites. On Christmas of 2012, Mike Zohn, another friend of mine, who co-owns Obscure Antiques and co-stars in TV’s “Oddities” with Evan, just happened to call. I said, “Do you know if any of your connections have any of his pieces?” He said, “Oh! I just heard where the kittens went.” I went, “What? ?” It was a great revelation. Before then, nobody knew where they were. Nobody guessed that they would be in the United States, owned by a collector in Chicago. I had to send her a formal proposal, and a month later, I got confirmation that I could come photograph the pieces. She’s a wonderful woman. 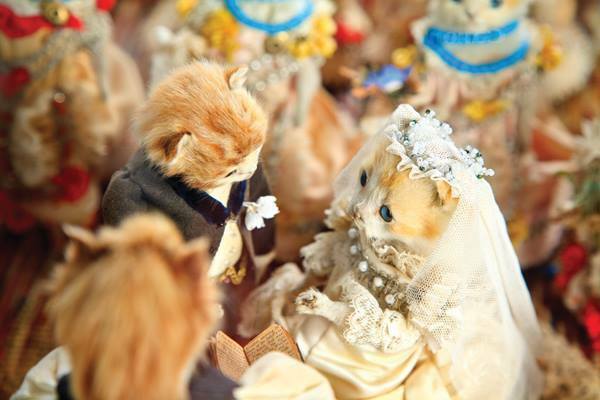 She will be loaning the “Kittens’ Wedding” to the Morbid Anatomy show. She also has a Potter horse head. And then Jennifer Butkevich—who is one of our board members—actually has four excellent Potter pieces in her collection. Mike and Evan of “Oddities” have a few between them. Some are in the United States, but many of the best ones, not surprisingly, are in the U.K.
Potter’s work has a real cult status within the world of Victorian taxidermy collectors. My friend Ronni Thomas does a web series called “The Midnight Archive,” which is often inspired by the people who speak at Morbid Anatomy events. The publishers of the Potter book hired him to do a book trailer, and while he was working on it, he actually became so obsessed with Potter himself that he ended up making the trailer into a documentary film. He also raised money for it on Kickstarter. So we went back to these collectors’ houses and filmed their pieces. We’ll be premiering his Potter documentary as part of the Morbid Anatomy Museum show. Collectors Weekly: I’ve heard some people get uncomfortable wondering where Potter’s kittens came from. Ebenstein: Yes. I expect it’ll be a very controversial show. We have to remember, in the 19th century, people didn’t spay or neuter animals. And Walter Potter was a country taxidermist. In countryside, kittens and puppies—it’s sad to say but it’s true—were routinely drowned to keep populations down. I think it’s incorrect to judge the past by our own standards. These aren’t contemporary kittens and puppies in the dioramas. But then again, we still euthanize animals; we just have a different word for it. For example, many animal shelters run by the Society for the Prevention of Cruelty to Animals and the Humane Society kill kittens. Does that mean it’s wrong to use kittens that are dead anyway for something like this? I think not. And I know that’s controversial, but I don’t feel it’s disrespectful. I don’t have a problem with it, personally. By looking at the past, you can learn a lot about the present. Our blog, lecture series, and exhibitions showcase objects that look bizarre to us now, but it’s really in the service of reflecting on how much we’ve changed. Potter’s kittens were on display for 150 years, and people weren’t always looking at them, going, “Oh my God, that’s bizarre!” That’s a contemporary response. Again, I think it is about our attitudes about death and how they’ve changed, in my opinion, in an unhealthy way. 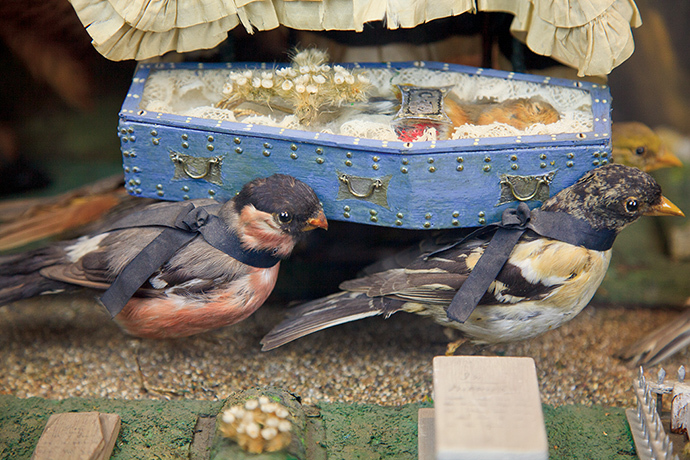 Collectors Weekly: In your opinion, is taxidermy avoiding death or facing death? Ebenstein: In Rachel Poliquin’s The Breathless Zoo: Taxidermy and the Cultures of Longing, she talks about how taxidermy arises from a longing to keep something alive forever. It’s a strange paradox because the only way you can do that is to kill it. Everything in a museum has this paradox, not just taxidermy. Let’s say you go to the natural-history museum here in New York, and you see these beautiful objects on display from a culture, say, Papua New Guinea. 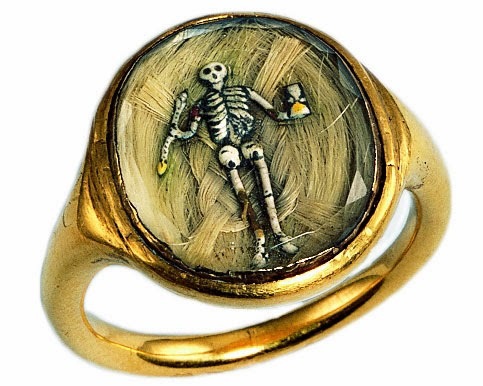 The objects on display underwent a symbolic death once they were placed in a vitrine. An object in a case no longer used for its original purpose. It’s something else, right? It rises up almost to the status of a relic, but the only way to do that is to kill it. It is alive forever as something else, but its original self had to die in order for that to happen. People become especially interested in taxidermy at times when ecological issues are a concern. Right now, we’re dealing with global warming, and we still don’t really know what the repercussions will be. The idea of a natural world, and our existence on Earth, is really threatened by climate change. In the 19th century, these issues were also top of mind. Big mass extinctions were happening. You would read these stories about passenger pigeons—which you’d see flying above in large flocks that would literally take two days to pass—suddenly going extinct. That’s the other time that there was a huge interest in taxidermy. It’s no coincidence. A way that we deal with our feeling alienated from nature and our fear that we’re destroying nature is by ironically destroying it in order to make ourselves feel better by having mementos. It’s a terrible impulse, but it’s very real. Collectors Weekly: What about your collection depicting disease and deformities? Is there any concern that people might be offended by that? Ebenstein: I’m sure people are going to be troubled and offended by a lot of things I do, and it doesn’t bother me. I grew up in California, and I went to the University of California at Santa Cruz at the height of the PC movement. I know these people and their arguments. But to pretend that history wasn’t what it was, that does a disservice to the past and you’re not learning. The truth of the matter is we did all sorts of things that are troubling, like putting people with disabilities and deformities in freak shows and asylums. 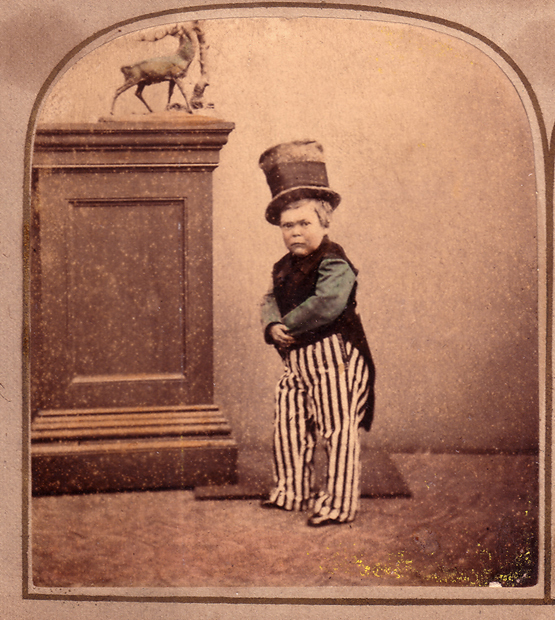 Back then, it was okay to put live humans on display in museums like Barnum’s Museum in New York City. That would not be seen as appropriate today, and rightfully so. At the same time, today, you can turn on the Discovery Channel or the Learning Channel and watch virtual freak shows now like “Little People, Big World,” or “The Girl Who Cried Blood.” It is intriguing to look at people who are different, and that has not changed. The frame through which it’s appropriate to view them has changed, and it’s hypocritical to pretend otherwise. If you don’t know what we did in the past, then the people who suffered died in vain. It’s important to look squarely in the mirror and be honest with ourselves about who we are now, as well as who we were. Collectors Weekly: How does the supernatural fit into Morbid Anatomy? Think of the microscope, right? Before you looked under a microscope, people didn’t know there were germs. They didn’t know what cells looked like. These things seemed as fantastical as ghosts do to us now. Then a new technology made them visible. I’m interested in those moments where edges are blurred, the places where science and belief are overlapping. Or when science intersects with desire, such as the desire to have some connection with the dead and clarification that there might be an afterlife. Morbid Anatomy started out about death, but now it’s expanded now to be about a lot of things that fall through the cracks, things that we don’t talk about in a dignified discourse. So the fact that the history of paranormal research has been swept under the carpet interests me, in the same way we choose not to think about how Sir Isaac Newton was as interested in alchemy as he was in mathematics. I’m interested, too, in the fact that humans are essentially non-rational beings, but we want to be rational. We try, right? Death, the paranormal, alchemy, belief, faith, saints, and relics—these things all speak to something else that we need to have answered. Anatomy, until the 19th century, is touched with that as well. When you look at anatomical textbooks and models of a certain age, they still have metaphysics involved with them, which reflects that anatomy was natural philosophy and not yet medicine as we know it now. But I’m interested in the ways in which the pre-rational ideas carried over into what we consider the rational, such as science and medicine. 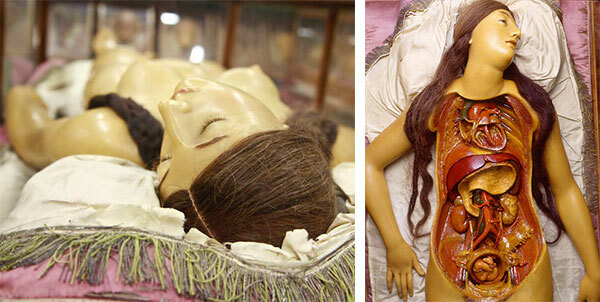 Collectors Weekly: Can you tell me what an Anatomical Venus is? Ebenstein: The one that I photographed the most is from the 18th century and now on display at La Specola Museum in Florence, Italy. She’s life-size and dissected down the side. You can see the seam on her breast, pull up her breast plate, and take her apart. Once you get to her center, when you can’t peel back any more layers, there’s a fetus in her womb. And each layer is exquisitely beautiful. She’s modeled with small fibers or silk threads that are dipped in colored wax. She has real human hair and wears real pearls, and she’s in a rosewood and Venetian glass case. The natural philosophers in the 18th century believed that to know the human being would be to know the mind of God because the human being was at the pinnacle of God’s creation. So when you look at pieces like the Anatomical Venus, you have to think that there’s a metaphysical element to her, which starts to explain why she looks like a saint. When I went back to Italy to try to understand the Venus, I spent a lot of time looking at the wax effigies of saints in churches, and they’re similar visually to the Venus, only they have clothes. But their facial expressions have a similar kind of ecstatic look that seems sexual to us now but was also seen as the ecstasy of religion in the Baroque Era. So there are all these tangled things there, these overlaps that I find so delightful to tease out and understand. At the time, they didn’t see any of this as contradictory, because this was before we had all these disciplines that pulled everything apart. All these distinct disciplines like geology, natural history, biology, and cell biology are really recent in human history, starting around the 1850s. Before then, the sciences weren’t divided like that. What can we learn by looking at these things that are more tangled? Perhaps we should question our own need to divide everything in these tiny boxes that make it hard to understand anything, really. Part of why these things look so strange to us is because we’ve divided up the disciplines in such a way that they are totally incompatible now, and then we just get confused. We don’t know how to deal with it. 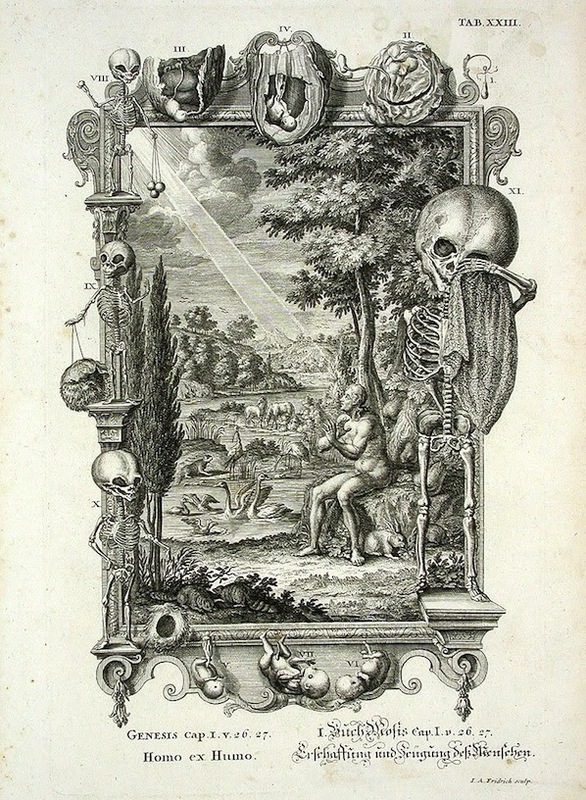 One of the things you will find in our permanent collection is this five-volume book set called Physica Sacra, by Johannes Jacob Scheuchzer, from the 1730s. It’s a first-edition set about the creation of the world in a biblical perspective, but it’s early science as well. It has elephant folios beautifully illustrated with artifacts from Scheuchzer’s own private cabinets of wonder. He and other natural philosophers were trying to make sense of the universe, just like we are. Who knows what discovery will happen in a hundred years that people will laugh at us? 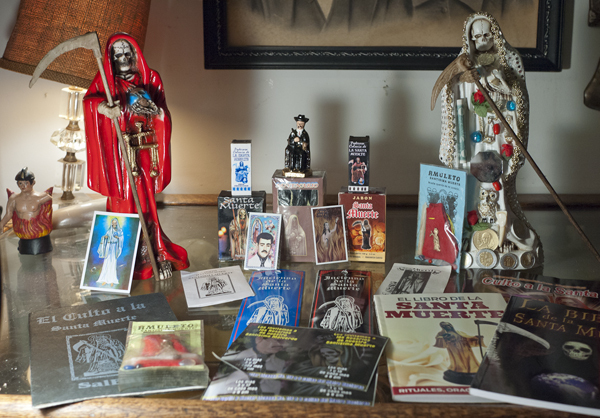 Collectors Weekly: Who is Santa Muerte? Ebenstein: I remember going to L.A. maybe four years ago and going to a Santa Muerte botánica in downtown and just being blown away by all the merchandise. 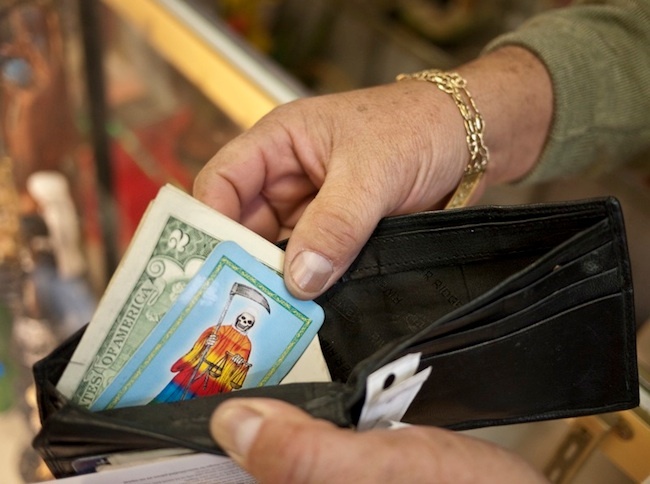 I talked to the guy who worked there, and he showed me the Santa Muerte card he kept in his wallet and his pendant. He took me back behind the counter where there’s an altar he could go to. I was so fascinated visually. I started a collection about Santa Muerte, and it now has lots of figurines, spell books, a rosary, incense and special soaps and waters, as well as a lot of books about her. Santa Muerte, from what I understand, is a depiction of death that is seen by her worshippers as a saint, literally Saint Death, and the Catholic Church is not so into this idea because in their story, Death is ultimately vanquished by Jesus. But these people are basically saying that Death is the final power. But when you speak to her followers—and I have taken tours of different botánicas where they have Santa Muerte shrines—what everybody says is that they see the worship of Santa Muerte as just one saint among many. Maybe they favor her, but they also worship San Judas Tadeo or Mary, the Virgin of Guadalupe. But they think of themselves a good Catholics, and that Santa Muerte is just a saint in the Church. Of course, you hear that she appeals to criminals, drug dealers, murderers, prostitutes, and transvestites. And that’s true. But it’s not just that, either. It’s more complicated. I don’t really understand it completely, and I don’t think anybody does. 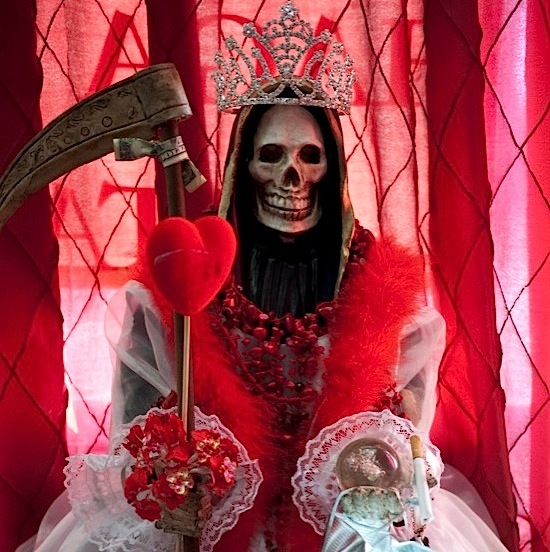 What’s so unique about Santa Muerte worship is it’s a new religion developing as you watch. It’s changing every day. So many of the Santa Muerte figures look Hallooweeny or they look heavy metaly to European Americans. But these skeletons mean something visually so different to our culture than they do in Mexican culture. Even when I look at them, they seem kind of horrific sometimes even though I know that that’s not what they stand for. It has a really bad reputation with a lot of people, obviously. One thing I’m very interested in is the different ways we’ve imagined death in different times and why death becomes personified. Why is death a she? Why does Santa Muerte worship pop up now? And I have a theory, which is not tested nor is it academic. Europe during the bubonic plague would be another time and place that you have personified death. So I think when death is unpredictable and you don’t know when it’s coming, it seems so capricious that the human imagination wants to see it as an anthropomorphized being like as a god or a goddess. When death is a person who has whims, the idea of its unpredictability makes sense. That’s my working theory on why Mexico has Santa Muerte now, but I don’t really know. 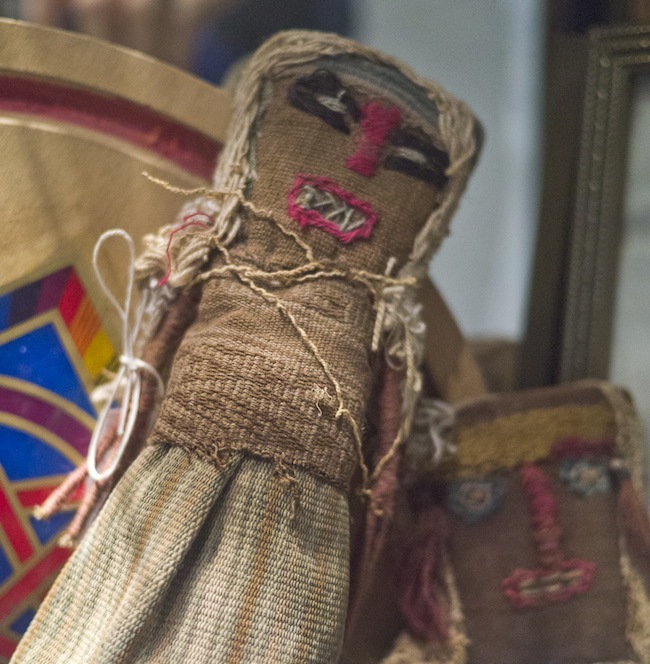 Collectors Weekly: And Morbid Anatomy hosted a trip to Mexico for Day of the Dead? Ebenstein: When I started our lecturers series, one of our first presenters was Salvador Olguin, a Mexico-born scholar based in New York. He’s studying the history of death in Mexico. And he’s asking the question, “Is this love of death that Mexicans have part of this violence that’s happening now?” He became one of my scholars-in-residence a couple years ago. And we’ve been doing a Dia de los Muertos, or Day of the Dead, party here in New York every year. Salvador and I started planning a trip to Mexico for Dia de los Muertos, which takes place around November 1 and 2, but then violence started to really go down in Mexico, so we had to cancel it. Last year was the first year we thought it was safe enough to do it. In total, 32 people came on a chartered bus that picked us up in Monterrey, Mexico, and took us to two towns that had big Dia de los Muertos ceremonies. It’s mind-blowing when I think of what we did. The town Aquascalientes had the Museum of Death and a big Festival of Skulls. Guanajuanto had the Museum of the Mummies. We went to lots of churches and markets and ate delicious food, of course. It was amazing. I’ve read so much about it. I’d been a docent at exhibits about Day of the Dead. I knew a lot about it intellectually. But being there with something totally different. You go to the cemeteries, and there’s this sense of joy and fun. Kids are running around, and there’s cotton candy for sale. You see people cleaning up the graves and decorating the graves with flowers, skeleton figurines known as calacas that you could buy at the 7-11, and sugar skulls, of course. There are food vendors in the cemetery, and everyone stays all night. Even the Catholic churches had the marigold petals for Dia de los Muertos. It was a very emotional trip. As we got to know everyone on the trip—people who came from all over the place, California, South Africa, Canada—most of them had unique stories about why they were there. They might have had recently lost someone close to them or been diagnosed with something or had a near-death experience. Most were there to understand death, which was something I didn’t know until the last night. Mexico in general was a profound experience. It made me think a lot about Americans and emotions. When I was walking around with my Morbid Anatomy bag with a little skeleton on it, which usually gets funny looks here, older people were coming up to me and are like, “Fantastico! Where did you get that?” There, death is just a part of everyday life. We were greeted with warmth as well. We were worried that we were going to be treated like tourists, but it wasn’t like that. People were interested in sharing their culture in a way that I find so touching. I don’t think I really understood until I was in Mexico how basically the fact that their country is falling apart is literally our fault. First of all, the United States created the drug war, and second of all, we provide all of those armed militias with the guns. So we have ruined their country, and they’re still so incredibly warm. The woman who ran the tour just had tears in her eyes as she said, “I just hope you loved our country as much as we do.” I think there’s something very beautiful about that. We have a lot to learn from Mexicans. 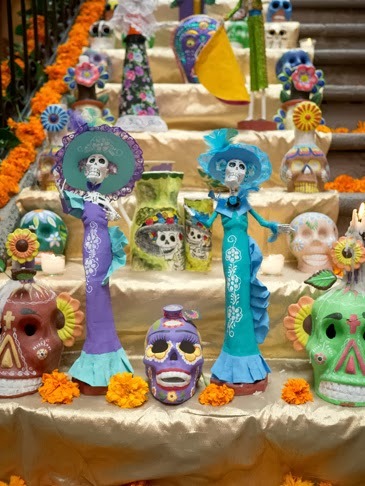 We will be doing a Dia de los Muertos trip again this year, going to be Mexico City and Oaxaca. Collectors Weekly: It sounds like Morbid Anatomy is trying to revive the concept of memento mori. Ebenstein: Yes, very much so. 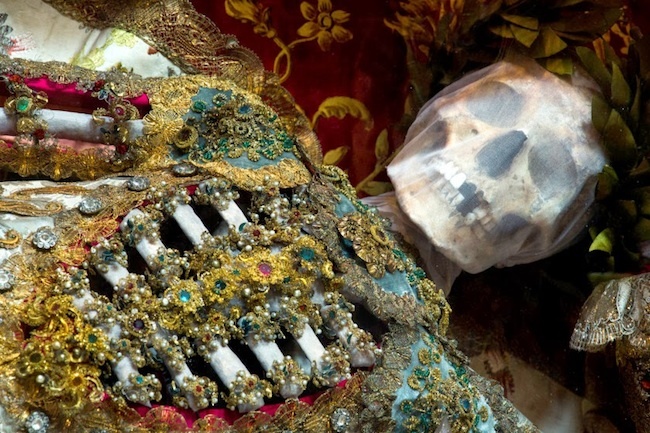 I would say the Morbid Anatomy Library is a walk-in memento mori. I don’t usually say that, but that’s how I think of it. Thank you for noticing. Most people in the United States don’t get that, so that’s nice. I think it’s pathological to approach the world pretending that death doesn’t exist. Most people just push it to the back of their minds. But there’s a lot to be gained from a contemplation of death and the fact that it will happen to each of us at one point. It has happened to every human that ever lived. Maybe we don’t like it, but to pretend it doesn’t exist, I think that’s morbid. That’s, in part, what I’m trying to say with Morbid Anatomy: I show the ways in which art and death have interacted over time and to draw attention to that lack in our own culture. By seeing all of these examples, one after the other, maybe the reader or the viewer might have their own moment of revelation where they think, “Isn’t it strange that we don’t have a language for that?” Even the name Morbid Anatomy is my attempt to reclaim the idea of “morbid.” It’s also double entendre: “Morbid anatomy” is a term used in medicine that means the study of the body gone wrong, or pathology. And I do not believe it’s morbid to be interested in looking at images of death or just thinking about death. I think it’s healthy and human—and life-affirming at the end of the day. We are in a unique place in time, in that the idea of denying death is a luxury that didn’t even exist until recently, right? Horses were our main transportation 150 years ago, and there were dead horses everywhere. Before modern medicine, something like one in three children died. People didn’t figure out that washing your hands prevented the spread of diseases until the late 19th century. This idea of death being absent from life is new. It couldn’t have existed in any other time or place. “ ” Whoever wields power in a Democratic society has to be accountable to someone. The problem with vigilante groups is they confer this power onto themselves. That’s what makes it so dangerous.